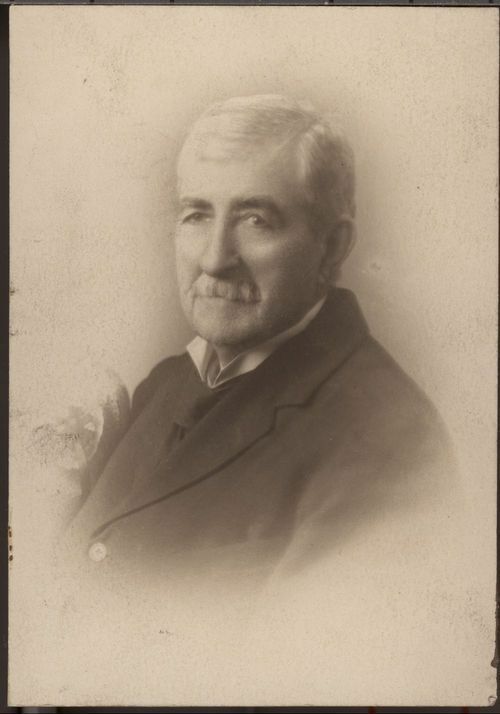 This is a portrait of William F. Rightmire, an attorney, who came to Kansas in 1887, and practiced law in Larned, Cottonwood Falls, and Topeka. In 1888, he was nominated by the Union-Labor Party of Kansas as its attorney general candidate. Two years later in 1890, Rightmire was nominated as the People's Party candidate for Chief Justice of the Kansas Supreme Court.